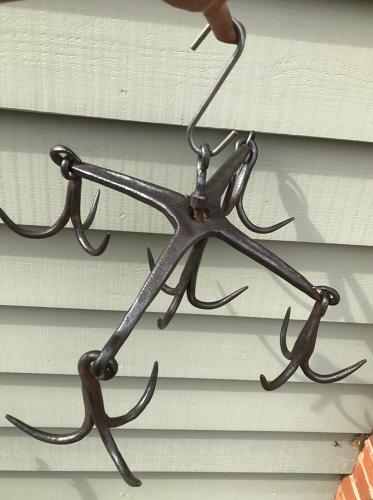 Fine 19th Cent Game Hanger, blacksmith made. Crossbar construction with Game hooks at each corner and a fifth one hung from below. These hung in Game Larders etc to hang pheasants, rabbits etc. Very fine example would look good in Inglenook or kitchen hung with herbs etc.